The National Universities Commission (NUC) on Tuesday presented provisional licences to four newly approved private universities in Nigeria. The new universities are Greenfield University, Kaduna; Dominion University, Ibadan Oyo; Trinity University, Ogun; and Westland University in Iwo, Osun. 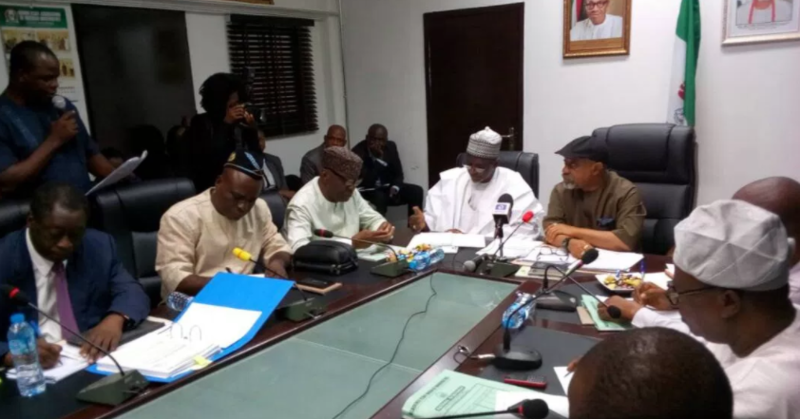 The Federal Executive Council gave approval for the new private universities in January. The Academic Staff Union of Universities on Tuesday conducted a referendum to decide whether to suspend its three-month strike or not. The national leaders of the union on Monday directed its zonal coordinators to meet and conduct the referendum. Over 200 members of the University of Ibadan chapter, who attended the congress allegedly voted for the continuation of the strike while a little above 50 voted for the suspension of the strike. Lagos State Governor, Akinwunmi Ambode on Tuesday presented the 2019 budget proposal of N852.316billion to the House of Assembly, with a pledge that it had been carefully prepared to be all-encompassing and dedicated to complete major ongoing projects in the State. Gov. Aminu Tambuwal of Sokoto State on Tuesday sacked the Commissioner for Information, Mr Bello Muhammad-Goronyo, following his defection to the All Progressives Congress (APC). Tambuwal’s Director-General, Media and Public Relations, Malam Abubakar Shekara, disclosed this in a statement in Sokoto. He revealed that the decision to relieve the official of his post was sequel to the alleged sabotaging of the state government’s efforts on its laudable programmes and activities. The Peoples Democratic Party (PDP) has been overheating the polity with falsehood to cause confusion and make the election a nullity, ruling party All Progressives Congress (APC) has alleged. The APC accused PDP of inciting utterances at its electioneering campaigns ahead of the general elections. Malam Lanre Issa-Onilu, the APC National Publicity Secretary, made the accusation in a statement on Tuesday in Abuja.